The series of squares and Old Town Havana in part reminded me of being in Europe. The impressive architecture would capture the attention of any North American, as our vernacular architecture is different in many ways – style, size, material, age to name a few examples. 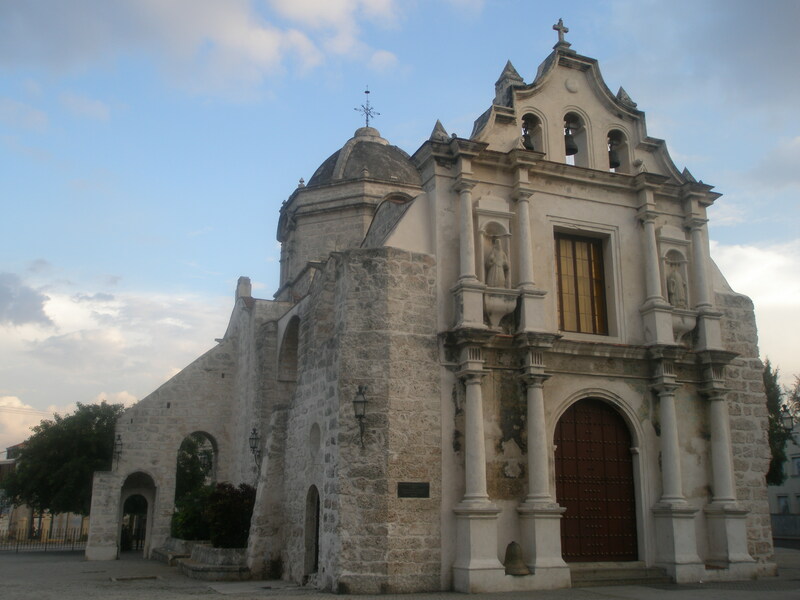 Church at San Fransico Square. 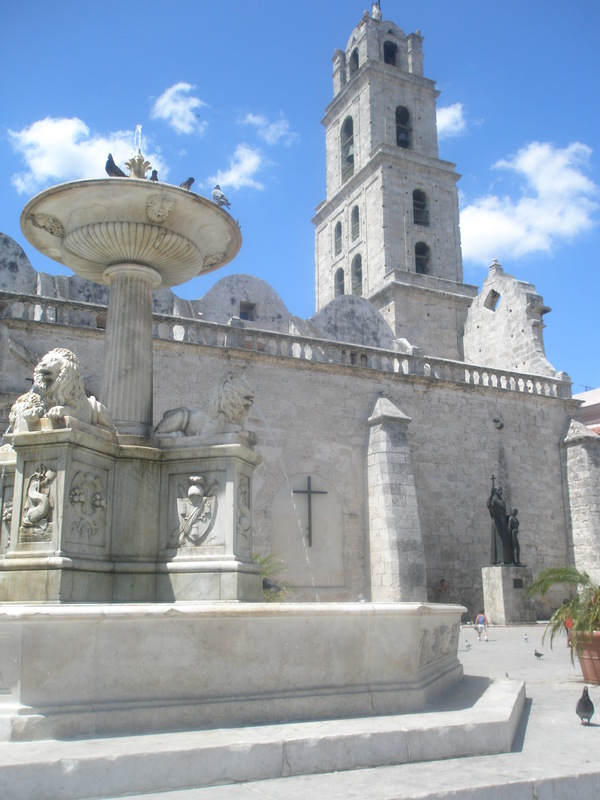 The fountain in the square. 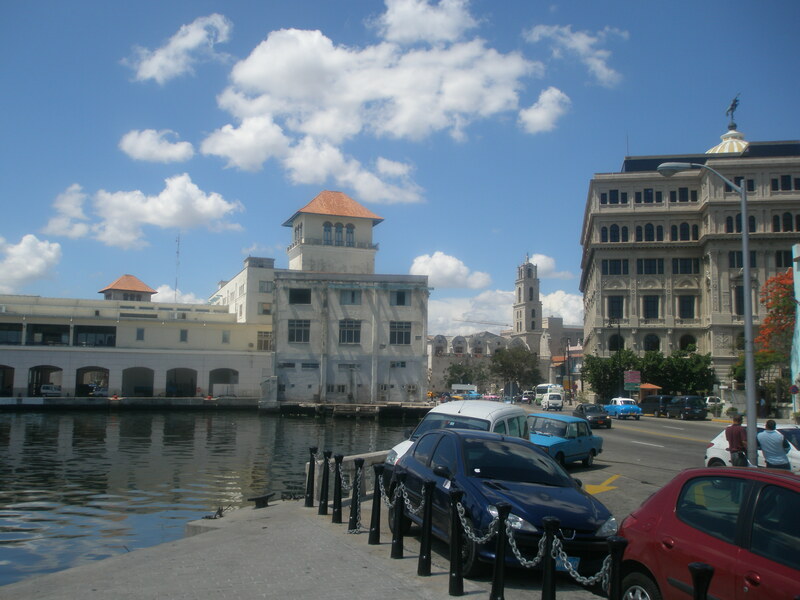 We took a stroll along the Caribbean sea, along the waterfront promenade. 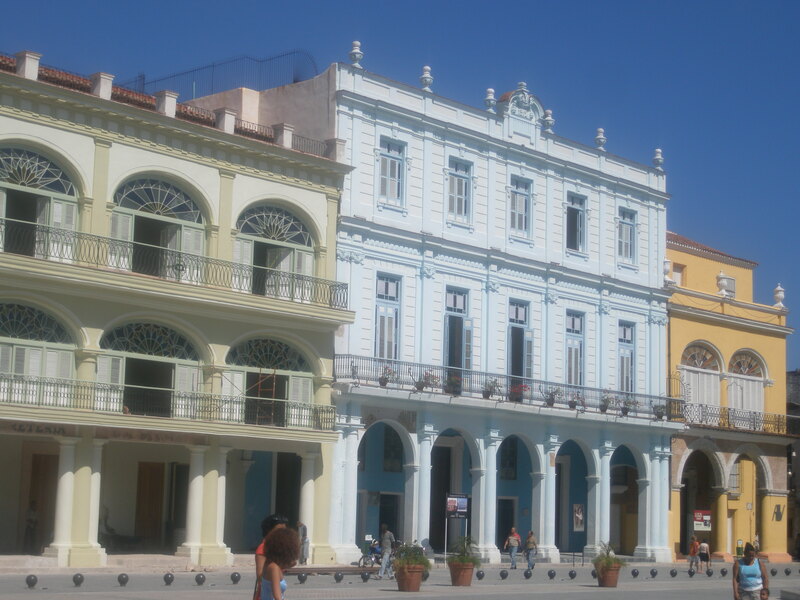 The Old Town Havana is under restoration with many of the buildings getting a new lease on life, while others still require a facelift. 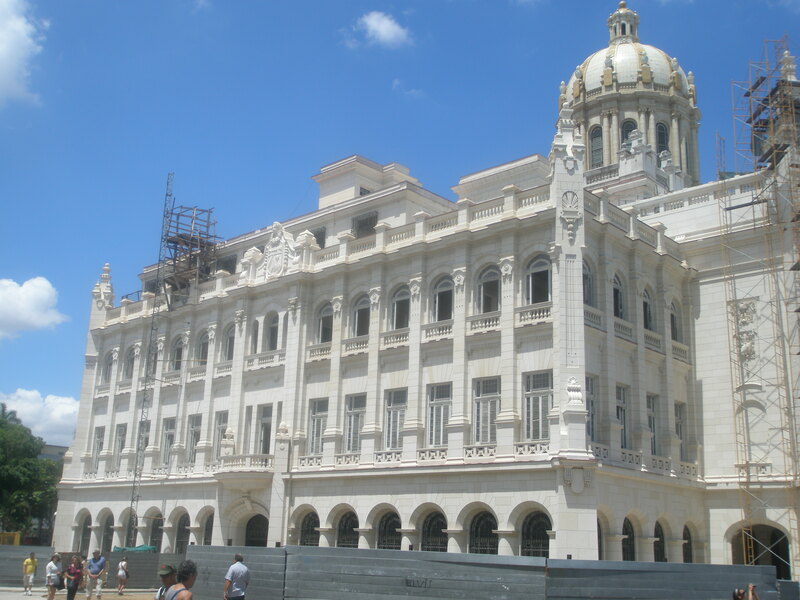 One did not have to veer too far away to see that not all regions of Havana had the same level of prosperity. As we strolled along the water front I was briefly reminded of my roots of rural Newfoundland & Labrador. 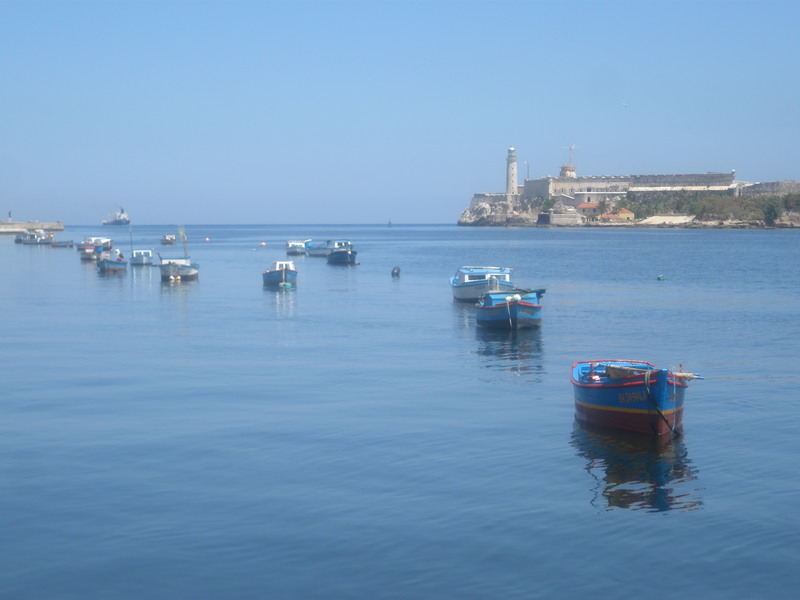 A series of small fishing vessels were moored in the harbour, while a couple of men were trying to catch some fish at shore’s edge. I reflected of a time, nearly two decades ago when my father and I went fishing on the wharf in an attempt to catch some rock cod. We were successful! I remember also catching some flatfish, unwanted sculpins and even a catfish. I kept the eely catfish for a couple of days before I realized he did not make a good pet and needed to be released back into the ocean. After spending the morning under the suns rays of nearly 35 degree temperatures, we sought shade under a large tree. We were readily befriended by a local who chatted it up with us. He told us about a concert happening later that night due to the National Holiday. That he could get us cheap tickets. We passed on the offer. He disappeared and came back handing us two cigars. We noted that we did not want. He would not take no for an answer and insisted they were gifts. A gift in fact that you pay whatever you would like to give. :(. I do not miss the constant pressure from some locals to provide them with money. However, it is hard for me to judge as I am unaware of the personal circumstances and adversity that may challenge these individuals. To move things along we stopped by the Museo de la Revolucion (Revolution Museum). The impressive building had an immaculate dome that caught my attention. It had memorabilia, information and praised national heroes. The Granma Memorial and Gardens we were guarded. One must be careful not to loiter or sit as they will get a whistle blown from the careful watch of a guard at his post. There is an exhibit of war vehicles, including cars, tanks, planes and boats. After spending the day sightseeing and walking many streets we had a rest to escape from the shade. Additionally, at the hotel I tried to purchase Internet. It appeared to be a rare commodity. The cards were not for sale at the front desk. The store hours at the hotel werre limited and when I did manage to talk to the worker, she did not have cards for sale. Quite often I heard, check back tomorrow. It was actually a blessing to be away from technology – where I was not frequently checking my Blackberry, Email, Facebook account or even posting on my blog. That evening we have a meal and a couple of drinks at a quiet restaurant on the square. A great meal for a mere $10.00. It as quite the find. It was time to call it a day and make the most of the final two days of the vacation, as on Sunday I would be starting my way back to Varadero and making a flight that night for Canada. The Lingonberry in Rural Newfoundland & Labrador is referred to locally as the “Partridgeberry”. After reviewing From Our Atlantic Woods –Non-Timber Forest Product Directory 2009-2010, a recipe supplied by Pure Labrador seemed like a delicious use of for local berries. Drizzle the Lingonberry Vinaigrette over the salads. I am looking forward to trying this salad, which will have local wild berries. Be creative with locally grown products and start your own FOOD REVOLUTION!